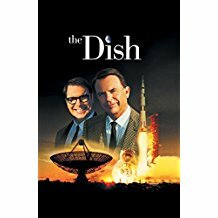 Join us for The Dish, a comedy starring Sam Neil and Patrick Warburton. When the tiny community of Parkes, Australia is chosen for its 1,000 ton satellite dish to participate in the Apollo 11 space mission, the people of Parkes are thrilled to be in the limelight. Rated PG-13. Popcorn will be served. Film is 1 hour, 41 minutes.